Posters, the holy grail of possibility for some designers, are particularly great for inspiration, and the emergence of Parallax scrolling websites (like an infinite digital poster design for the Web) makes posters all the more relevant. 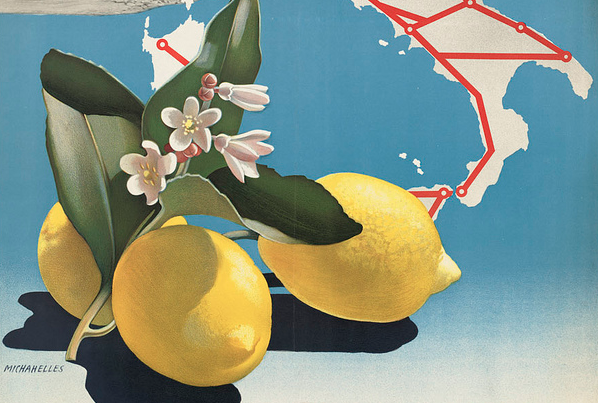 With this in mind, we’re excited to have found this collection of 350 vintage travel posters, most of which date back to the 1920s-1940s, housed by the Boston Public Library’s Print Department. Take a sec to be inspired. You can see the whole collection in the slideshow below and on Flickr. If you’re wondering how you could possibly integrate such iconic designs into your current work, check out some of these vintage-inspired designs created within the last few years. Remember, great design transcends the medium. It doesn’t matter if it’s industrial, packaging, print, automotive, Web or anything else. Get inspired by people who don’t create anything the way you would — then go back to your screen and make something beautiful. Read next: Google's Project Glass could be its "iPhone Moment"